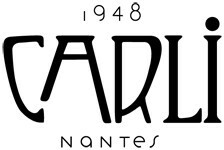 Born in 1948, the Carli company is one of the most former references of the chocolate factory cake store of Nantes. After the second war the chocolate knows in France a real development. It is in this dynamics that is created the craft factory Carli which in the pure tradition of the chocolate factory French cake store transforms the chocolate to create candies and intervene. The history of the chocolate is intimately bound to the history of Nantes for the 19th century when of famous shipowners as Fernand Crouan owner of the Belem returned of his Brazilian counters sugar and cocoa for craftsmen French and of Nantes. Carli is the heir of this Spirit of Nantes, subtle mixes some knowledge French-style and ultramarine sweetnesses.